If you think only teenagers suffer from acne, think again. Your chance of developing acne rises as we approach menopause. 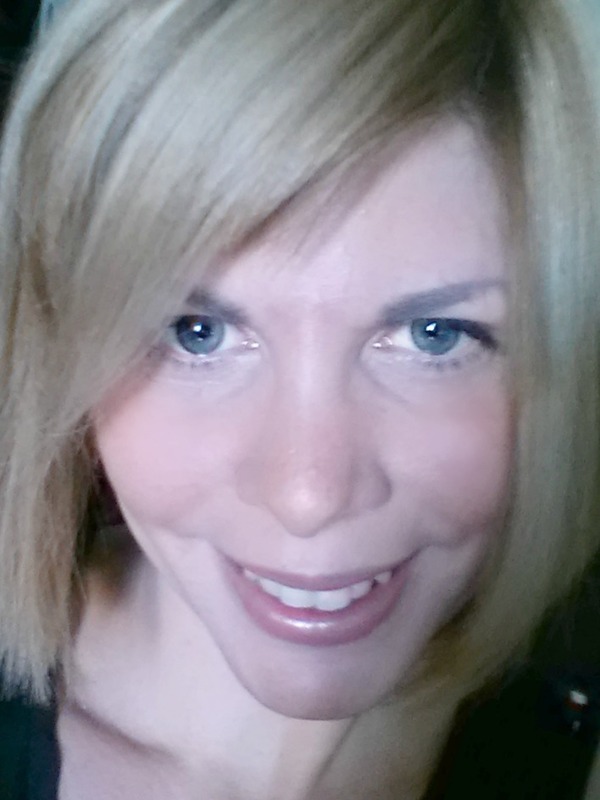 You can thank your hormones if you start breaking out in your forties. 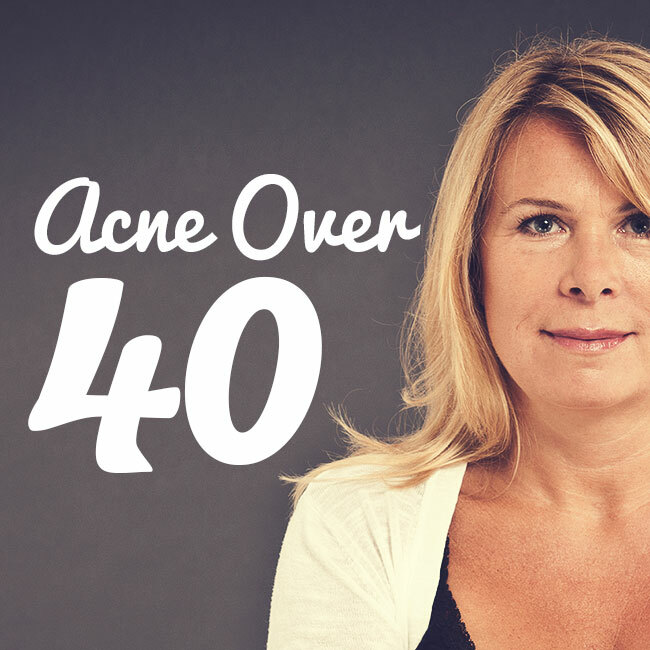 If you have not dealt with acne since your teens, your experience is likely to be different at 40 than it was at 14. In fact, the number of cases of women with adult acne is on the rise. According to the American Academy of Dermatology, 25% of women in their forties and fifties struggle with acne. If you are one of the unlucky women dealing with acne after age forty, we have some tips. Most cases of acne after age forty are linked to hormonal shifts. While menopause still may be several years off for you, your hormone levels are most likely fluctuating. If you still have your periods, it will be helpful to know when they might be starting. Why? If you are fairly regular, you can take extra measures to help minimize your breakouts. Think of it as a pre-emptive strike of sorts. Hormonal acne often affects the chin area, so if you treat this area diligently for a few days prior to your menstrual cycle, you may be able to fend off a major breakout. Using an exfoliating product containing beta-hydroxy acid, for example, can help unclog the pores and prevent a major breakout from brewing. While stress does not cause new cases of acne, it can certainly aggravates existing ones. This is because stress makes the body produce excess levels of cortisol, which is an adrenal steroid. Finding ways to manage your stress more effectively may help reduce flare ups of acne. Take a walk by the ocean, meditate, take up painting or any other activity that makes you feel calm. Yoga is particularly helpful, as it not only can help reduce your levels of stress, but it involves physical activity. Many holistic health practitioners believe that exercise is the key to balancing your hormones. It would make sense to believe that hormonal acne is much less likely to occur without a hormonal imbalance. Regular physical activity is advised for weight management, lowering blood pressure, easing mood disorders and more. So lace up those sneakers and get moving. It may prevent some of those pesky hormonal breakouts! This should already be a must, but I know that so many people believe this is an unnecessary step if they do not wear makeup. This is not true. You still will have environmental contaminants, dirt and other types of grime present on the skin even if you cannot see them. If you go to bed with these on your skin, they will contribute to the likelihood that you will develop more acne, especially if you are already prone to the condition. The fact is that everyone needs to wash their face with a gentle facial cleanser before hitting the sheets. We are all busy. Sometimes it is so much easier just to grab whatever is handy in the shower and use that on your face. It is important to spend a few more minutes to take care of your skin, especially if you are suffering from acne after 40. More and more women this age find that they experience cystic acne, which can be painful and embarrassing. Following a solid skincare routine and sticking with it will help lessen breakouts, including unpleasant cystic acne. An acne treatment kit is a great choice, because it will include the products you need to care for your breakout-prone skin.